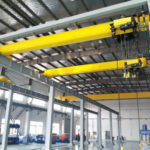 Floor mounted jib crane consists of top column, low column, main girder, electric hoist, rotation mechanism and electrical system, etc. 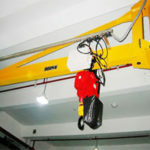 The base of column is fixed on the concrete foundation with anchor bolt. 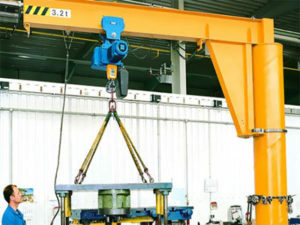 Cantilever rotary drive by cycloidal pinwheel reducer. 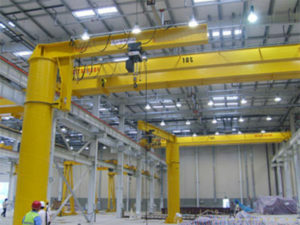 Electric hoist on the cantilever beams runs in straight line from left to right, and lift heavy objects. 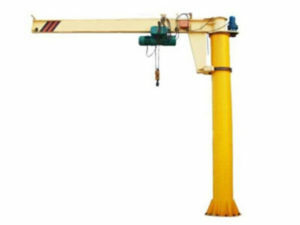 Jib crane has the character of hollow steel structure, light weight, big span, large lifting weight, economy and durable. 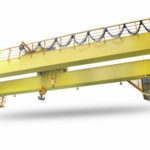 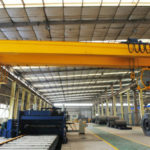 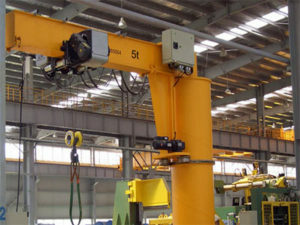 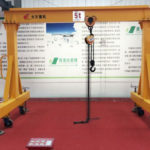 Jib Crane is a new generation of the hoist equipment developed to meet the requirement of modernized production. 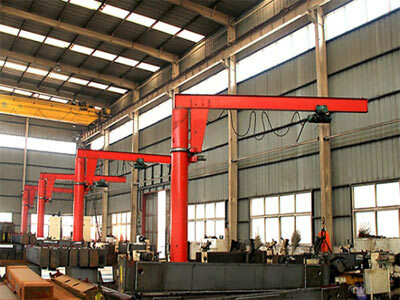 In addition, jib Crane adopts West Germany technology , has the features of reasonable structure, easy operating and high efficiency, etc . 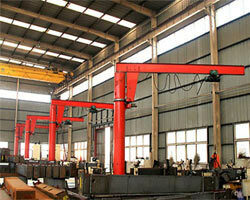 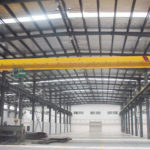 It is widely used in mines, workshop, warehouse , wharf.